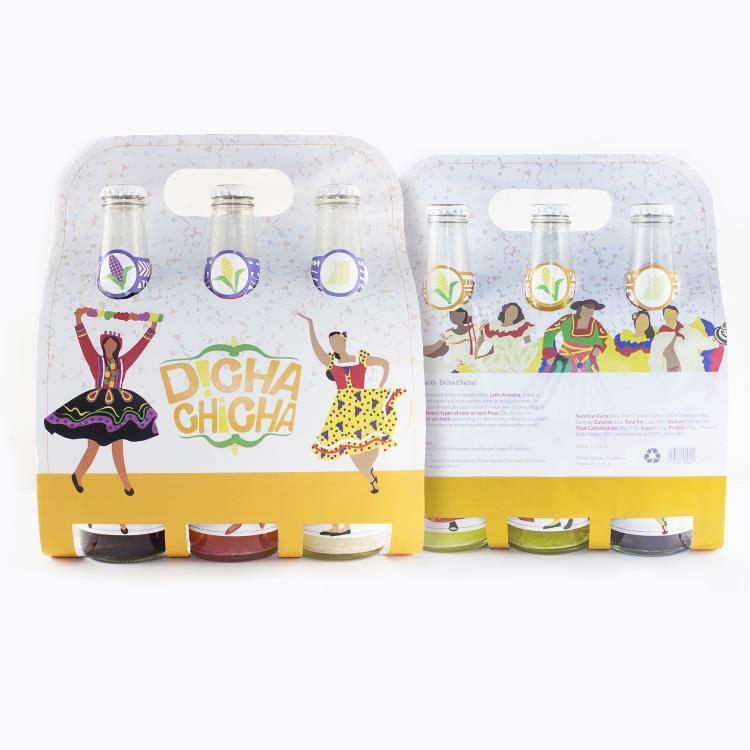 Dicha Chicha is set of traditional drinks from Latin American called “chicha” designed to restore the importance of the drink in Latino culture due to the low consumption of the drink today. There are different versions of chicha, the main ingredient is always corn and but other ingredients may differ depending on the country or region. 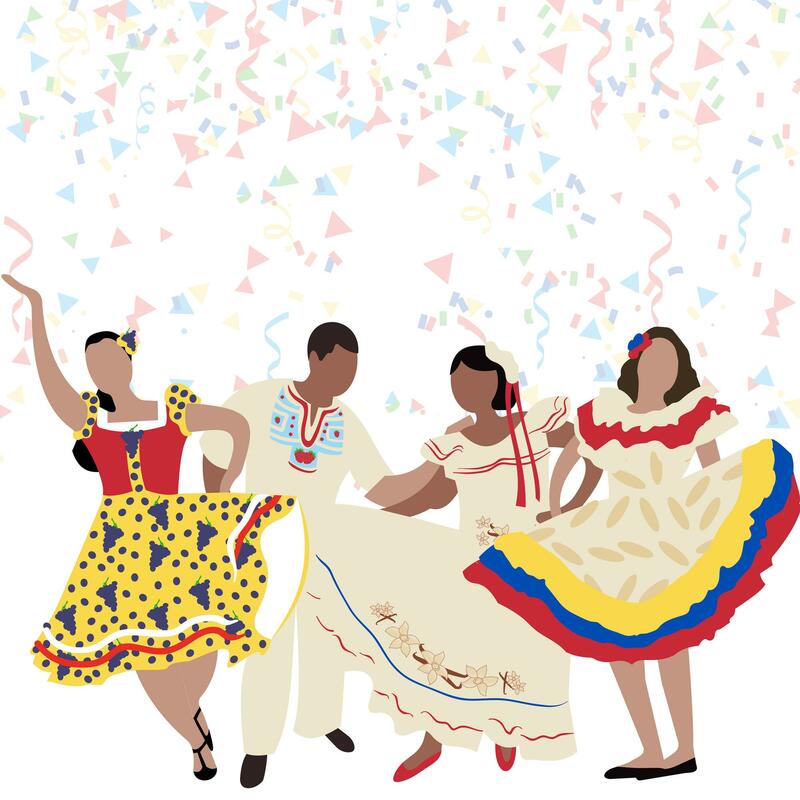 The use of chicha by ancient Latino communities in traditional ceremonies inspired the concept “celebrating life.” The conceptual names are based on each countries’ slang for party or celebration, as well as the word “dicha” which means happiness and bliss. 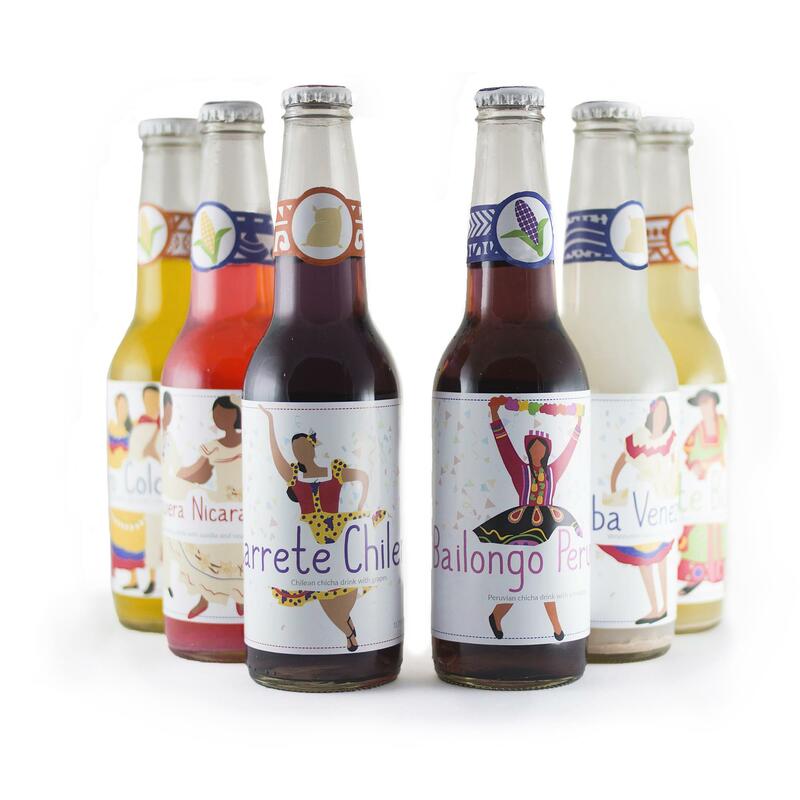 The countries chosen for this set have made chicha an important part of their culture which is why each bottle is designed to give tribute to what makes Latin America special, the people. 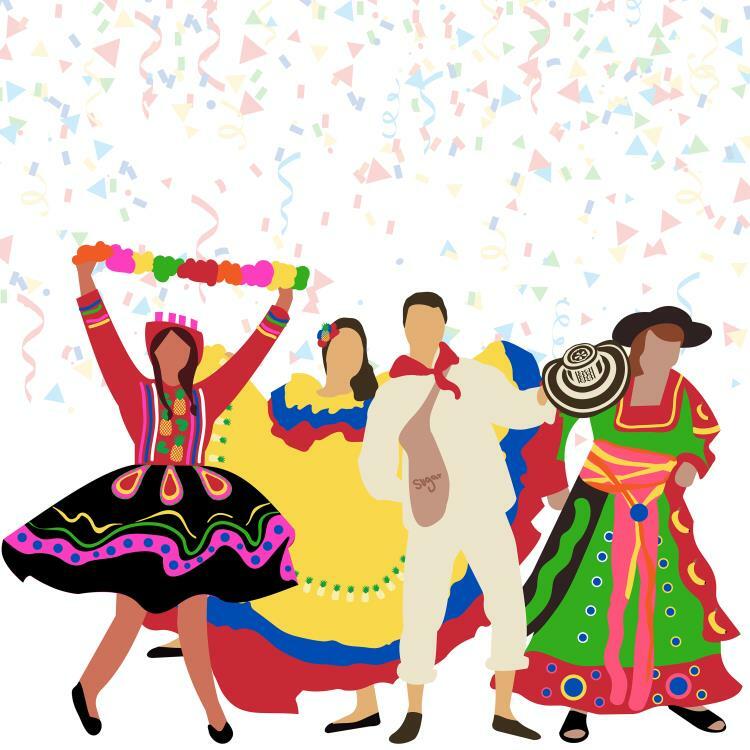 Each flavor was incorporated in the details of the clothing representing how symbols in clothing reflect crops and animals found in the region. 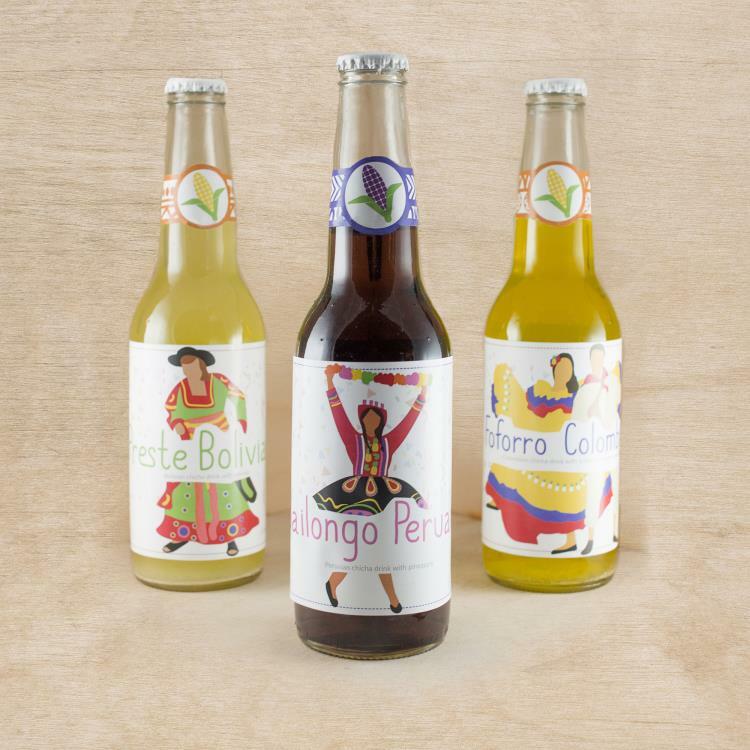 The neck labels also incorporate traditional patterns as well as a symbol representing the corn base used in that specific drink. The bottles are also colour coded based on their alcoholic content: red for alcoholic chicha and blue for non-alcoholic.